Both the chest and back have plenty of sebaceous glands and therefore can over produce sebum (skin oil). Skin on the back is harder to reach with your daily hygiene routine. Your backproduces more sweat thereby fostering the growth of acne-associated bacteria. Body acne develops in a similar way to facial acne. However, the skin on the body can be thicker than that on the face and often has larger pores causing more severe acne breakouts that are also more difficult to treat. Since we understand the causes of acne, we also know what can make it worse.So let’s get right into it. Wear breathable cotton clothing when possible. If you get sweaty, try to change your clothing when you can. Time your workouts so that you can shower and treat your skin. Our AcnEase users really like our anti-acne daily skincare regimen to combine with their daily natural acne treatment. Be aware of what might be irritating your skin in areas where you regularly experience acne breakouts and make changes where you can. Look for a body cleanser that contains fruit acids. Fruit acids have been shown to help with acne, so choosing a mild soap or cleanser that contains one of these acids may help to control your body acne. For example, you could look for a cleanser that contains citric acid, which comes from citrus fruits. Other fruit acids include glycolic, gluconic, malic and tartaric acids. Wash your skin no more than twice per day. Shampoo daily if your acne appears along or on your hairline. Wash your skin any time it becomes sweaty. Avoid scrubbing, which may irritate your skin. Use your hands or a soft washcloth to wash your skin. Pat your skin dry with a clean towel after you finish. Do NOT rub. Tone your skin with witch hazel. Witch hazel has powerful astringent properties, so it may help with body acne. It is also safe to use on your skin.After cleansing, try wiping your body acne with a cotton ball soaked in witch hazel. Then, follow up this treatment with a light moisturizer. Use aloe vera to moisturize your skin. Aloe vera can help to keep your skin moisturized and it may also provide some anti-acne benefits.Try using aloe vera as a daily moisturizer for your skin after cleansing. For example, you could replace your usual body lotion with a layer of pure aloe vera gel. Try tea tree oil gel. A five percent concentration of tea tree oil gel may help as a topical application for symptoms. Its effects have been compared to benzoyl peroxide, which is a medicine that is included in some topical acne-fighting skin products. Apply the gel to your skin daily. Make sure that your skin is clean and dry before you apply the gel. Tea tree oil has a strong smell. Some people experience redness and irritation from tea tree oil. Test it on a small patch of your skin before more general application. You may replace tea tree oil with homemade “green tea” astringent. Brew a strong cup of organic green tea. Use it daily either splashing on your skin or with the help of a saturated cotton pad after cleansing your skin. Spend a little time in the sun. Yes. A little sunlight exposure may help to combat acne by killing bacteria with UV rays. HOWEVER, remember to use acne friendly sun protection (based primarily on zinc) if you plan to be outside for more than 10 minutes. Too much sun exposure or tanningincreases your risk of developing skin cancer, and will also age your skin. At the end of the day, know that you need to treat your acne, and not just eliminate symptoms. Some people assume that just because they adopt a great daily skincare regimen or DIY method that this will somehow get rid of their acne eventually. And many have tried countlessprescriptions only to have their acne return. This is why hundreds of thousands have chosen AcnEase to help break the cycle of their acne long term. 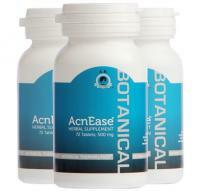 Body acne is one of the toughest forms of acne to treat, and AcnEase has a mechanism of action that enables the sebaceous glands to return to their normal activity, not only eliminating symptoms but most importantly, preventing acne from coming. We want to hear from you! 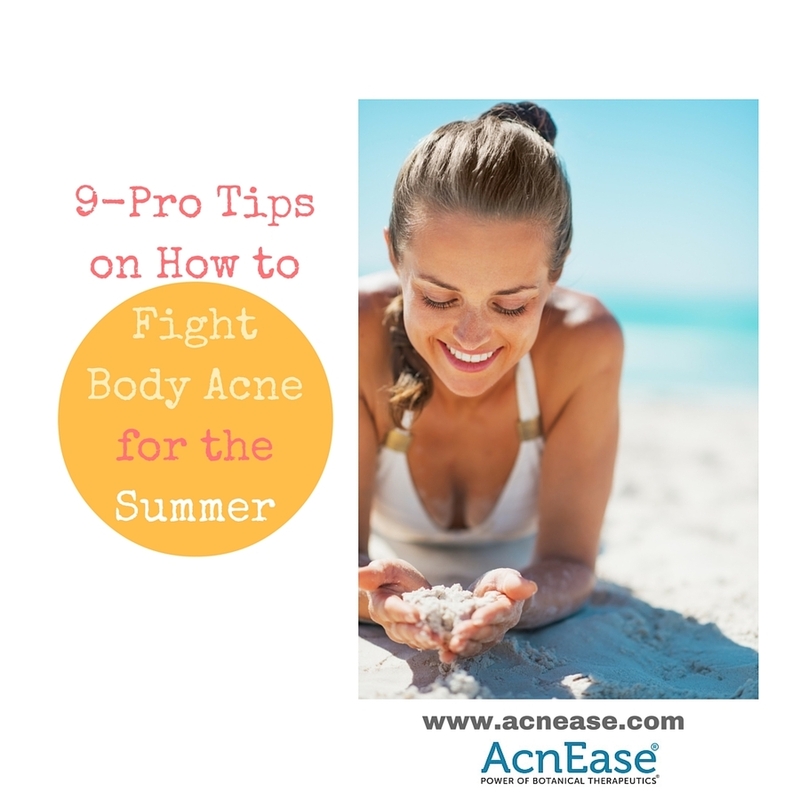 What do you do over the summer to combat body acne?